10 Oct 2017, 8:57 p.m.
Hey, so who are you? 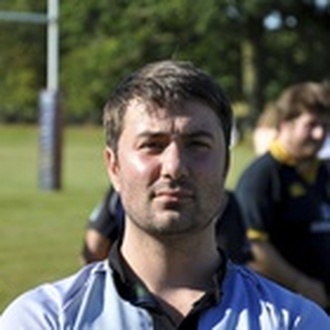 Morgan Whitlock - Director of Rugby, U16/U17 Coach & Men's assistant coach. How long have you been with Hackney? Did you play or coach much rugby beforehand? I played for Hackney for a few years before stepping into coaching. I started playing at 15, playing for local clubs, school and university (briefly) before joining the mighty Griffins. What have you thought of the club since you arrived? It's been a huge part of my life in London, and a huge part of what's good about it. Some of my best friends have been made at this club. With my daughter joining the youth section it's been great to see the passion and friendly, fun atmosphere at the club on Sundays. Can you tell us a little bit about your coaching role? I support our new 1st team Coach, Tim Marshall and work with the other coaches to deliver all aspects of our game-plan, with a focus on the forwards. Who's your rugby hero? And why? My school coach, Neil (Mr) Buckley, created a brilliant environment to step into as someone new to the game, and coached and encouraged his players in a way more familiar to coaching now than the Sergeant Major approach that was (and still is) far too prevalent. Fred Pentecost, of course. Anyone who has been involved with this club over the last decade will understand why. Fred's been a coach, mentor, friend and surrogate parent to me. And greatest moment in world rugby? Tough one. Possibly the launch of the Gargoyles; the moment all the hard work the team had put in to build this club really started paying off. But probably this. What are your hopes for the new season for Hackney? As the club grows, and steps up into higher and higher leagues, it's been brilliant to see the atmosphere and attitude remain as inclusive and friendly as it was when we had one team. Long may that continue.